Since the earliest days of humankind, inventions from the wheel to nanotechnology have been used and abused for unethical or illegal purposes. Why would it be any different for computer and Internet technology? In fact, the proliferation of computer exploitation necessitated an entirely new language. Overall, "malware" is software designed to infiltrate or damage a computer system, without the owner's informed consent. According to Wikipedia, malicious and undesired software such as computer viruses, worms, Trojan horses, spyware, adware and other malicious and unwanted software. In law, it is sometimes called a computer contaminant. In a very short time, malware became so widespread that it developed into a major aspect of computer technology. It raised a host of problems, challenges, dilemmas and questions about security, rules and regulations, prevention and punishment. As soon as computers were understood, there were those who were ready to exploit them. Viruses started appearing on dedicated networks such as the ARPANET in the 1970s. The boom in personal computers, initiated by Apple in the early 1980s, led to a corresponding boom in viruses. As more and more people gained hands-on access to computers, they were able to learn how the machines worked. And some individuals inevitably used their knowledge with malicious intent. Viruses were one of the first kinds of malware. Like actual biological viruses, these are self-duplicating computer programs that spread by inserting copies of itself into other executable codes or documents instead of living cells (Wikipedia). Viruses range from bothersome to destructive as eliminating data. Important to note is that viruses cannot procreate without the help of human users. People continue the spread of a computer virus, usually without knowing, by sharing infecting files or sending e-mail that contain the virus. Worms, a subset of viruses, spread from one computer to the next. However, they have the ability to travel without any help from a person. A worm uses a file or information transport to move between computers. Blaster Worm., for example, was designed to tunnel into computer systems and allow devious users to control other people's computers remotely. Trojan horses sit and wait until summoned by a certain command and then reak avock, such as destroying files, and worms or pieces of software that use computer networks and security flaws to create copies of itself. Some Trojans are created to be more annoying than malicious: They change a person's desktop by adding inane desktop icons, for instance. Or they can cause serious damage by deleting files and destroying information (Wikipedia). Robbers steal because it gives them property to sell. Why do individuals write software that hides until awakened and then causes destruction? At first it was for recognition; it was done because it could be done. Soon, individuals followed the traditional purpose of gaining economically through fraud. They can get something that costs for nothing. The first Trojans were created to get onto the Internet through AOL, and later to do the same with games and other paid software. Such theft was and still remains a crime. Now there are a host of individuals who do this for much larger payback. They steal valuable information, extract money directly from end users, or creating and selling a spamming platform for others. 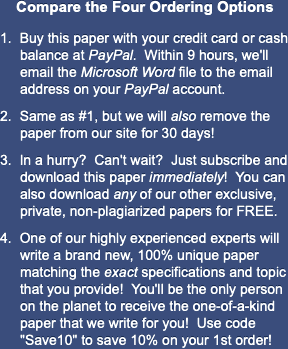 Presently, virus writers either work for particular spammers or sell their wares to those who will pay the highest. Once in the backdoor control is taken of the infected computer and used to be "spam zombie" and send advertising e-mail. They also create Trojan spies that can steal electronic cash from e-wallets, Pay Pal accounts and/or directly from Internet bank accounts. There are also those who threaten organizations, or actually blackmail, that they will conduct a DoS attack against their, such as e-stores, banking and gambling sites (viruslist.com). As with any other human behavior, there are grey areas of right and wrong, which are more unethical than illegal. A threat growing along with the Internet is known as spyware. These applications, unknown to the users, make their way into the computer and allow vendors to track your computer habits and buying interests. The dilemma of the right to privacy vs. The right of companies to acquire data continues. Many ethic and legal problems presently occur in the realm of the Internet, because the technology has developed faster than the corresponding legal system. For example, the U.S. legal system is just starting to look at and decide on cases concerned with privacy the rights. Especially with spyware, end-users do not like to be monitored and manipulated, while the marketing industry sees these technologies as a tool to reach new customers, gather information that is used to provide the products desired. In fact, a number of states (National Conference of State Legislators) are now studying or enacting legislation regarding the ethics and legality of spyware. In Hawaii, the law prohibits the unauthorized access to or control of a computer or the inducing, by misrepresentation, authorized person to load software. Authorizes attorney general or prosecuting attorney to seek up to $2,500 per violation. Authorizes private action to recover $5,000 per violation or 5 times the amount of damage cause, whichever is greater. The Illinois Spyware Prevention Initiative Act, if passed, would prohibit a person or entity other than the authorized user of a computer from causing computer software to be copied onto the computer and using the software to: (1) take control of the computer; (2) modify certain settings related to the computer's access to or use of the Internet; (3) collect, through deceptive means, personally identifiable information; (4) prevent, without authorization, an authorized user's reasonable efforts to block the installation of or disable software; (5) misrepresent that the software will be uninstalled or disabled by an authorized user's action; or (6) through deceptive means, remove, disable, or render inoperative security, antispyware, or antivirus software installed on the computer. Prohibits a person or entity who is not an authorized user from inducing an authorized user to install a software component by misrepresenting that it is necessary for security or privacy or in order to open, view, or play a particular type of content. Prohibits a person or entity who is not an authorized user from deceptively causing the copying and execution on the computer of software components with the intent of causing an authorized user to use the components in a way that violates the Act. Makes a violation of the Act a Class B misdemeanor. Contains severability provisions (National Conference of State Legislators). In the meantime, each organization has to decide how it will best protect the information it has from potential malware. This was especially noted when the computer system of the major insurance company American International Group (AIG) was victimized from a theft that revealed personal account information of almost one million insurers. This included Social Security numbers and tens of thousands of medical records of potential customers. With $843 billion in assets, even this huge business entity could not completely guarantee safety against malware (Smith, 2006). Ironically, a large number of the security problems are due to the companies themselves. For example, a laptop stolen from the house of an ING employee in Washington, D.C., held the retirement plan data, including Social Security numbers, of 13,000 city employees. Similarly, a laptop of an Aetna employee, which contained the names, addresses and Social Security numbers of 38,000 Department of Defense and Omni Hotel employees, was stolen after he left it in his car (Smith, 2006). Too frequently, then, the malware problem is internal more than external. According to the security firm ControlGuard about 70% to 80% of data breaches are committed by company insiders. At the enterprise level, there is an agreement that removal media and portable devices with great numbers of data are unmanaged and unsupervised. As organizations increasingly move towards the adoption of new preventative security products, a debate has arisen concerning the best way of detecting and preventing malicious activity -- that is, behavioral rules or Many security products detect malicious attacks, but very few actually take preventive action to handle them once they occur (Franklin, 2002). A new form of security product is developed to detect malware, but also to prevent it from causing damage, without human intervention. However, within the field of preventative security products, opinion is divided over the best way to detect and then prevent hacking activity: signatures or behavioral rules. "Malware Since the Earliest Days of Humankind." 17 September 2006. Web. 19 April 2019. <https://www.essaytown.com/subjects/paper/malware-since-earliest-days-humankind/9465604>. "Malware Since the Earliest Days of Humankind." Essaytown.com. September 17, 2006. Accessed April 19, 2019.